I had loads of posts planned to do this weekend, but a combination of my blogging mojo being off kilter and a busy Mother's Day 'weekend' put paid to that. But I do have a little haul for you...you know the drill - you go into Superdrug only looking for handwash and an invisible force draws you over to the makeup aisle, and haircare, and toothcare! Batiste is almost easily my most used product, I always pick up a can whenever I'm in Boots or Superdrug. 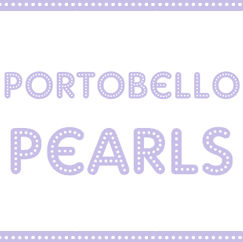 I've known about Pearl Drops for at least 15 years but have seen some good things about it on blogs so want to give it a try! You all know how much love I have for my rediscovered Max Factor Miracle Touch compact, so I was delighted to see Collection 2000 release a version. There are only three shades, but the lightest - Ivory - just about works on me. It's developed a darker, oxidised layer in the pan, but the product underneath is far lighter. It was about £3.95 and came with a free nail polish, I chose a pretty pinky coral called Fruit Salad. It has very handy mirror in the lid unlike the Max Factor one, but the coverage is much lighter. I have a mania for matte light bronzers and I saw Wildkatmakeup on YouTube recommending this one so I gave it a whirl. I've used it to contour my cheeks, and sadly it is slightly orange on me, but I'll get more use out of this in the summer when I tan up a bit. I'm very impressed with the consistency, opacity, colour and finish of these Collection 2000 polishes. I haven't bought any from this brand in ages but will definitely be checking out more of the Hot Looks range. Very fast drying, no smudges (which is near impossible for me) and barely a chip even though I cooked a roast today and have done a fair bit of washing up un-gloved. Result! I hope you all had a lovely Mother's Day and spoiled your mummies or were spoiled if you are a mummy! love the nailpolish color! so spring-y! I must say when I read this post, I got this terrible sensation (quite unlike that of a york peppermint patty) that I'd somehow missed Mother's Day! I immediately saw that you're a UK resident and felt very relieved - I still have 36 days until it's time to celebrate my mom (I'm in the US) and therefore have 36 days to buy her some goodies! Thanks for the reminder about Pearl Drops! My fam used that toothpaste for YEARS and I thought it had been discontinued. I just checked their website and it's still available at a few stores i frequent. It's truly the best whitening toothpaste! Love the fun nail color, too! Enjoy your weekend! I really love that polish color. How cute is that nail colour! I bought Button Moon not long ago, collection 2000 products are such bargains! 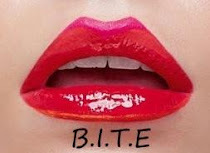 Love the nail color, i really wanna try out that teeth whitening..
Visit my blog for my New announcement. Just stumbled across your blog and it's great! I've been eyeing up some of these nail varnishes since they've been on offer but wasn't sure of the application, might give them a go now :) Thanks!